Jonathan Crisp is a highly respected trial attorney who is dedicated to public service. Before founding Crisp and Associates Military Law, Mr. Crisp served on active duty in the U.S. Army Judge Advocate General’s Corps JAG for almost seven years and currently serves as a Lieutenant Colonel in the Pennsylvania Army National Guard. He brings the strength, training and dedication instilled in him by the military into the courtroom for clients living throughout the world. 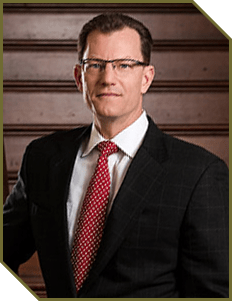 He currently focuses his practice on criminal defense litigation and military justice work. Mr. Crisp has litigated more than 70 jury trials to verdict and resolved numerous others short of litigation. He has also helped many clients obtain the dismissal of charges and acquittals at the trial and post-trial stage. Mr. Crisp’s reputation as a trial lawyer has resulted in his selection by clients whose cases had national and even international exposure. He has represented clients all over the United States and around the world, to include Kosovo and Iraq. In addition to his criminal defense and military justice practices, Mr. Crisp also represents ongoing businesses in navigating today’s often contentious business environment, in and out of court. He has negotiated numerous high-value contracts for goods and services and successfully assisted government contract clients in avoiding costly contract disputes. He also advises new businesses in the formation of the appropriate business organization. Mr. Crisp began his career as an Assistant Public Defender in Centre County, Pennsylvania. He left the Centre County Public Defender’s Office to join the U.S. Army Judge Advocate General’s Corps. In the Judge Advocate General’s Corps, he first served as a Legal Assistance Attorney and then the Chief of Legal Assistance at Patton Barracks in Heidelberg, Germany. As a Legal Assistance Attorney, he worked as a general practitioner in areas such as contracts, estate planning and mediation services. During his tenure as the Chief of Legal Assistance, the Patton Barracks Legal Assistance Office was awarded the Army Chief of Staff Award for Excellence in Legal Assistance for the first time in its 30-year history. Mr. Crisp then served as a Defense Counsel in Ansbach, Germany, where he represented soldiers at administrative proceedings and courts-martial. He was subsequently selected to be the Senior Defense Counsel in Fort Jackson, South Carolina, where he continued to represent soldiers, but also supervised and mentored other trial attorneys. As a Defense Counsel and also as a Senior Defense Counsel, Mr. Crisp was specifically requested by those accused to represent them. Two of the more high-profile cases in which Mr. Crisp was requested by name included a case involving charges of abuse against detainees at Abu Ghraib and a case involving the death of a detainee during an interrogation. The U.S. Army JAG Corps then nominated Mr. Crisp to be the first Command Judge Advocate for a newly formed general officer command, the 20th SUPCOM. As the first legal advisor for the 20th SUPCOM, Mr. Crisp was responsible for establishing effective and efficient systems to ensure the delivery of legal services command-wide. After leaving active duty, Mr. Crisp co-founded Crisp & Associates, LLC as a firm dedicated to serving the individualized needs of its clients zealously and with integrity. If you need an experienced attorney to handle your case, look no further than Jonathan Crisp.